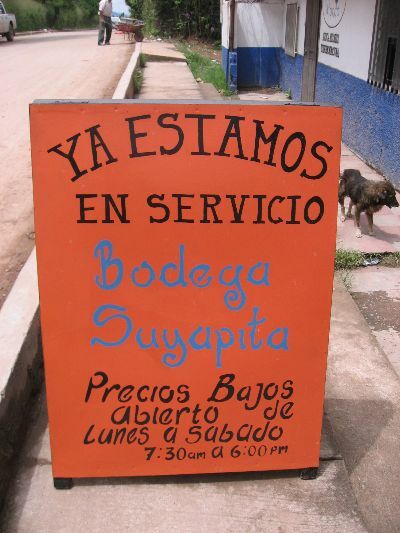 Nueva Suyapa is bustling with excitement as the first ¨Commercial Center¨ has opened for business. 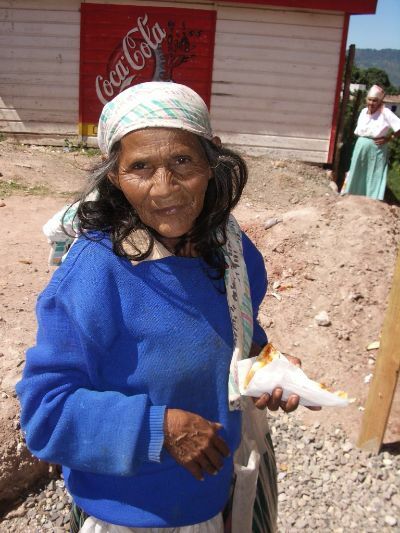 By helping create jobs and provide services, we hope to make a difference a community where over 35,000 people do not have running water or basic services. 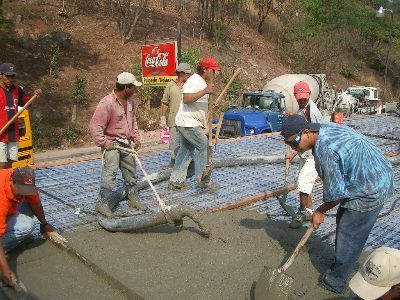 We have been able to employ over 25 people in the process and have a regular staff of 10. As the businesses grow, we hope that the center can employ many families and provide services that the community would not otherwise have. 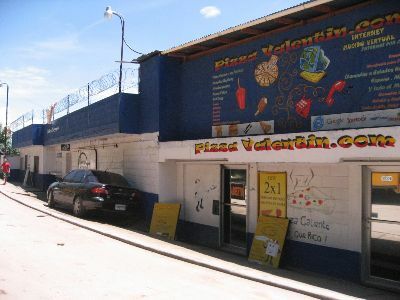 The building was old and falling apart, but it is located in a prime spot by the bus terminal. 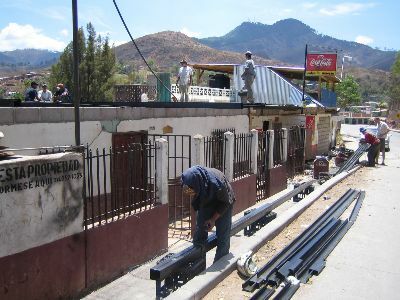 We have now renovated the building and have opened a Pizzeria, Internet Cafe, Copy and Graphic Design center, Dry Goods Store, Fitness Center on the roof, and set up office space for Honduras Puerta al Mundo. Our hope is that the Commercial Center can be a place for businesses to emerge and grow and locals to own their own businesses. 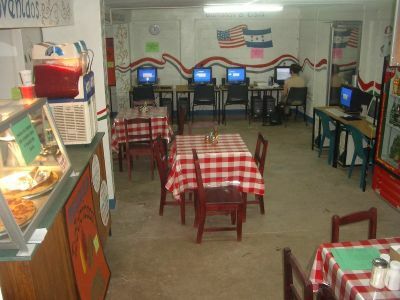 Internet cafe and Pizza restaurant. The new sports complex is on the roof of the Commercial Center. It is the only business in all of our community that stays open till 10 p.m. and is booked solid on the weekends and most evenings after 4 p.m. Phase 2 of building the Sports Center. 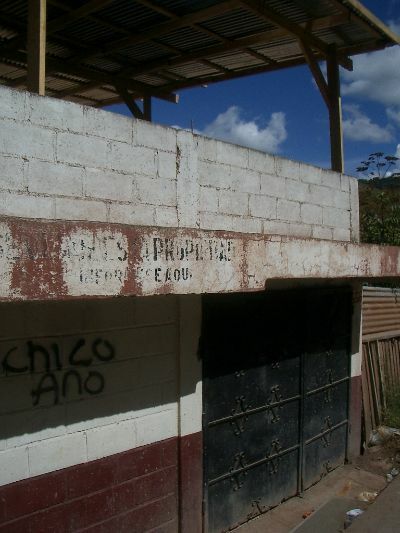 Preparing the roof for for the new sports complex (cancha) will give youth a safe place to play sports. 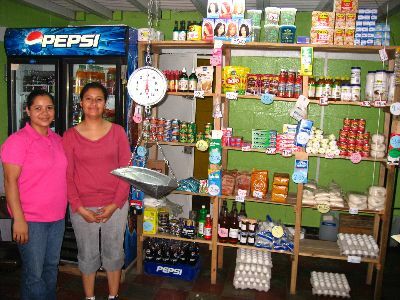 Dunia and Sira work the Dry Goods Store and most recently Sira became the "owner" of the store at the Center. The sign for the new dry goods strore. 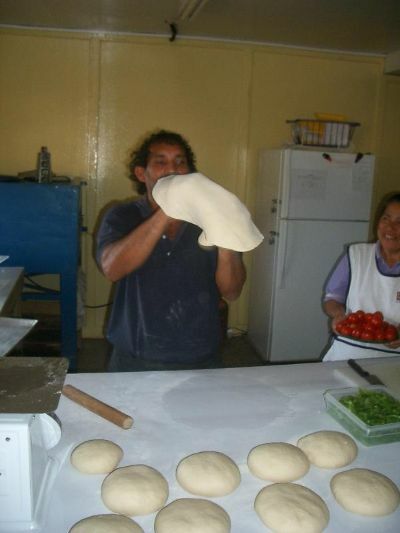 All the dough and pizza salsas are hand made by Valentine the chef. He has over 12 years experience working in an Italian eatery and in August 2007his dream was realized by transitioning ownership of the restaurant to him. New awning before we moved into the new (old) building. Early stages of building remodel and reenforcements. Two cuties during our grand opening. 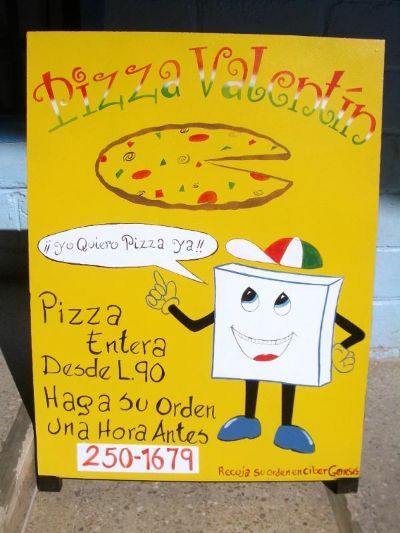 We sold 70 pizzas this day and had around 500 people pass through to use the internet, make phone calls and order food. Everything was half price!